nice mod. Is worth trying. BTW you mention that you do an ota update of espeasy. How do you do it? I tried the procedure described at https://www.letscontrolit.com/wiki/index.php/ESPEasy#2.0.2B_firmware_on_1MB_modules and the first flash is successful but the second step where the upgrade happens ends with a blank screen and an unreachable switch. Only manual wired reflashing brings it back online. How do you upgrade your switch? I’m goning nuts with this issue. I’m using the ESP8285 1M(64KSpiffs) setting in the Arduino ide. This works fine for me. For this switch, just like my other nodes, I have written the firmware myself. 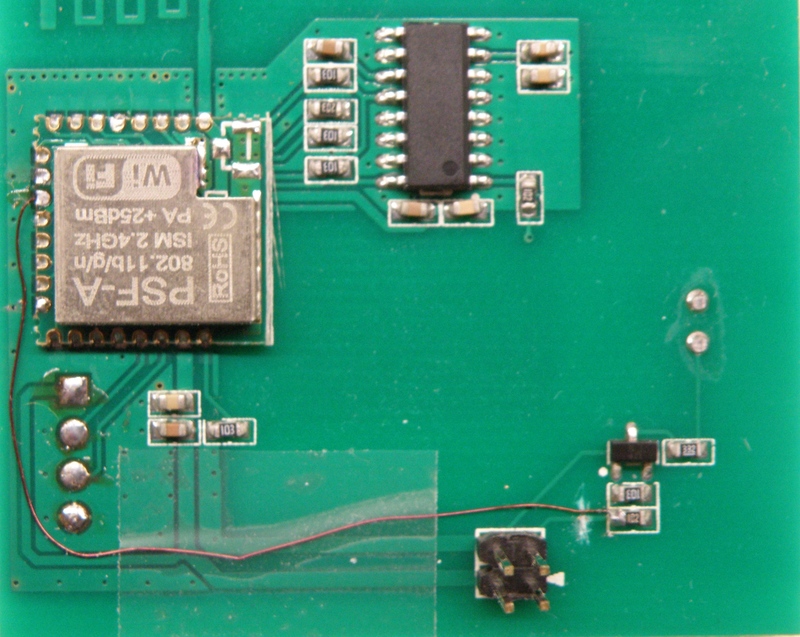 Looking at the Espeasy firmware that you are linking it’s way overdone for switching a light on and off, but I can imagine that it’s not feasible for everybody to write there own firmware and want to use something easy like Espeasy. Because you need 1/2 of the memory free for the OTA update the program can’t be bigger then 1/2 (1M – 64K Spiff) = 468K. My firmware is at the moment 262K. thanks for the fast reply. That explains it very well. Hi, this is a really nice mod.. But is it possible to download your code somewhere? Would like to use it for my sonoff’s aswell..
Great mod. Will definitely try. I am going nuts trying to find a way to get the light that is controlled to slowly turn on and slowly turn off. 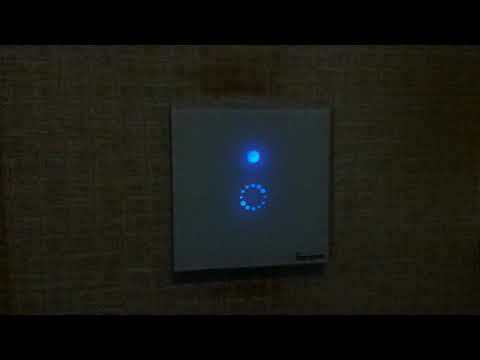 Would this be possible with the Sonoff touch (by adding some circuitry) or is it something that needs to be done at the light end? At the moment the Sonoff uses a relay to switch on and off the mains and therefore the lamp is not dimmable. It’s on my todo list to modify the Sonoff so you can use it as dimmer. For this I have to remove the relay, add an solidstate relay or triac and some zerocross detection. Due the lack of space and it also need to be keep safe it’s easier said then done. that is a great idea and i would like to add it to my sonoff´s. But i use the tasmota firmware and i would like to know, if it is possible to add the code in your ino file somewhere in there (arduino ide) to compile it with the tasmota stuff and use it after the hardwaremod? Great mod. Will definitely try ! With this mod you have more bright to the led than the standard connection ? Because my led is not much bright. No, this mod will not increase brightness.